We've been estimating about life on Mars for centuries. In current culture, the idea of intelligent life on Mars was supported by astrophysicist Percival Lowell in the late 1800s and his concepts on the Martian canals. Science fiction writers took up the main idea about Martian life from there. Possibly the utmost famous Martians in the past of sci-fi and popular culture, the invaders in H.G. Wells' 1898 novel "War of the Worlds," have since produced lots of films, TV shows, comic books and one very well-known radio drama. Telescopic observations of Mars in the late 19th and early 20th centuries showed lengthy surface lines that some thought were Martian-made irrigation canals. 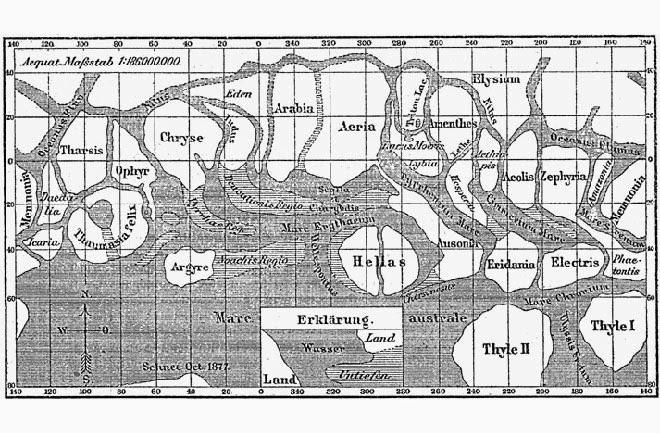 Italian astronomer Giovanni Schiaparelli prepared this map of Mars from his records on the telescope images. Science fiction writers frequently showed Martians as an advanced humanoid race committed on conquering Earth. 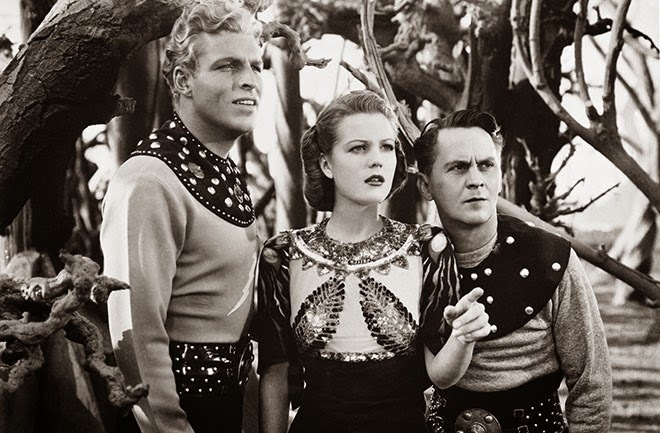 In "Flash Gordon's Trip To Mars" (1938), Queen of Mars Azura conquers her own Martian people. 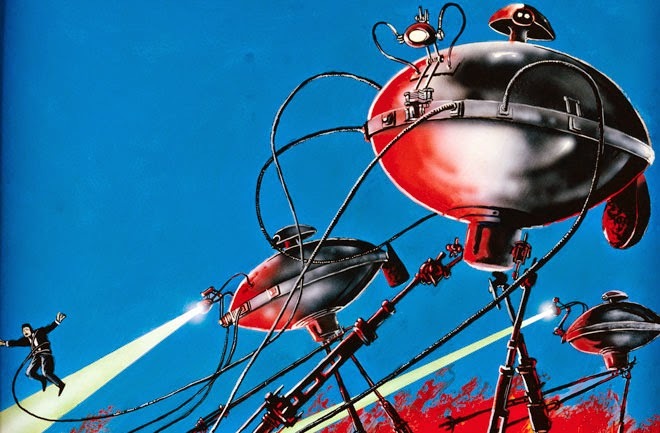 Ray Bradbury would imagined Martians kind, gentler race in "The Martian Chronicles." 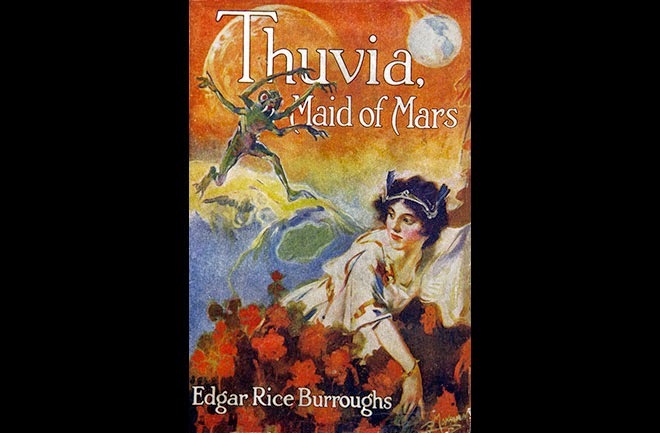 Space explorer tales were a consistent staple in the pulp fiction magazines of the early 1900s, and Edgar Rice Burroughs was a new author to wonder at length on Mars' people. His Martians comprised the six-limbed, green-skinned Tharks and mortal Red Martians. 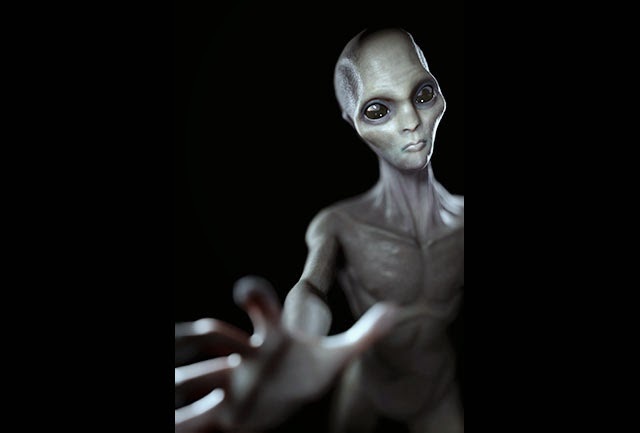 The so-called Grey Alien is a type of model image of an extraterrestrial, not essentially from Mars, that has risen from fictional descriptions, unproven alien kidnapping stories and estimation on what a progressive race of creatures would look like. On July 25, 1976, NASA's Viking 1 orbiter took the above image on the apparent surface of Mars' Cydonia area. 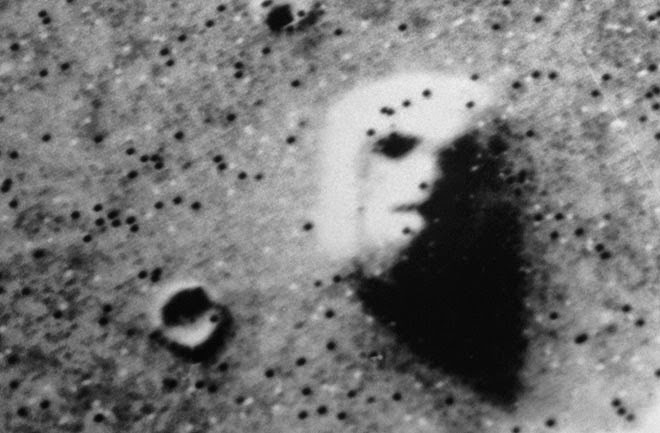 The infamous "Face on Mars" encouraged decades of conjecture, while scientists have long terminated the image as an example of pareidolia; e.g. seeing figures in the clouds, or Jesus in your bread. 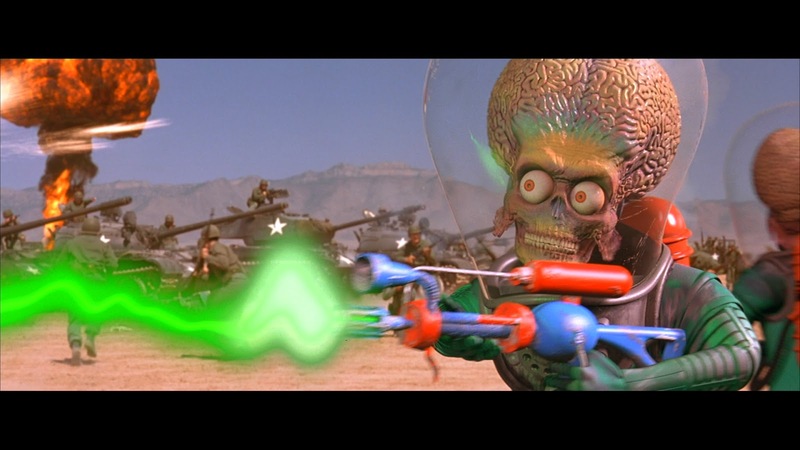 Director Tim Burton played around with B-movie tropes and modern art ideas of Martians in his film "Mars Attacks! "in 1996 Brian De Palma tailed up a few years later with "Mission to Mars," a gigantic critical and profitable bomb. Obviously, these are only several of the ways we've projected Martians over the years. But how do we appear to the Martians? Um, pretty tiny and small. 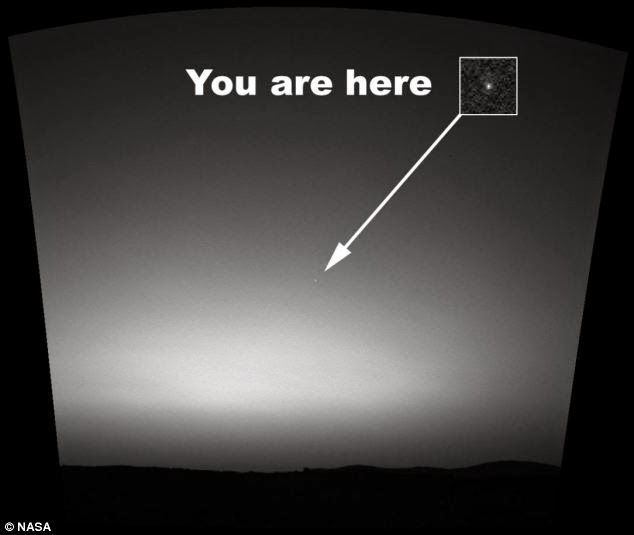 This first-ever photo of the Planet Earth taken from Mars was taken by NASA’s Mars Exploration Rover Spirit in 2004.